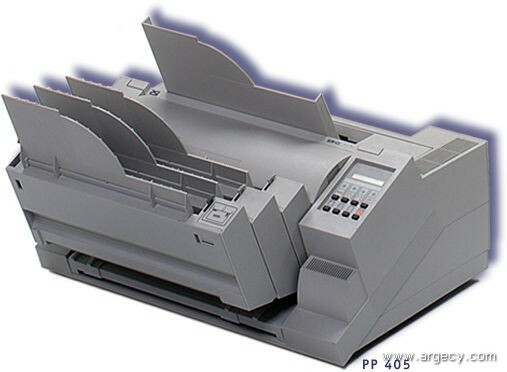 The multi-purpose printer PP 405 features flexibility in paper handling, allowing to run several different applications on one printer. Five paper inputs and three paper outputs are supporting fanfold paper, single sheets, and heavy multi-part formsets at a print speed of 600 cps and a throughput of 500 pages per hour. for fanfold paper and single sheets, workload up to 20.000 pages/month; internal barcode font support.